Offer valid for vehicle stock number 191848 and while supplies last at Heritage Toyota. Special sale price valid for lease offer only. Availability may change. MSRP $42,795. (Manufacturer's Suggested Retail Price is the price set by the manufacturer and not necessarily the price paid by the consumer.) Initial Capitalized Cost, $38.803. Payments of $488.00 for 36 months /10,000 miles per year. $0.15 per mile thereafter. $2,000.00 total due at inception includes $2,000 Toyota Customer Cash, $0 first payment, $0 down payment (cash or trade equity). $650 acquisition fee, $299 documentation fee, $35 title, $6 lemon law fee, $76 registration fee and Vermont State Tax included in monthly payments. $SUBCASH Toyota Lease Subvention Cash offered through TFS in lieu of special financing offer. Sales tax rate subject to change for vehicles registered outside Vermont. New Hampshire residents may pay no sales tax. Total payments of $17,568.00 thereafter. Security deposit waived. Lease end value $29,956.00. Offer ends 4/30/2019. The H-Team is committed to providing a quality experience to you, our customer. We have the best information, training, and technology at our disposal to make your experience at our dealerships the best it can possibly be. From the time you purchase your new vehicle, to each time you visit our service department our goal is your complete satisfaction. 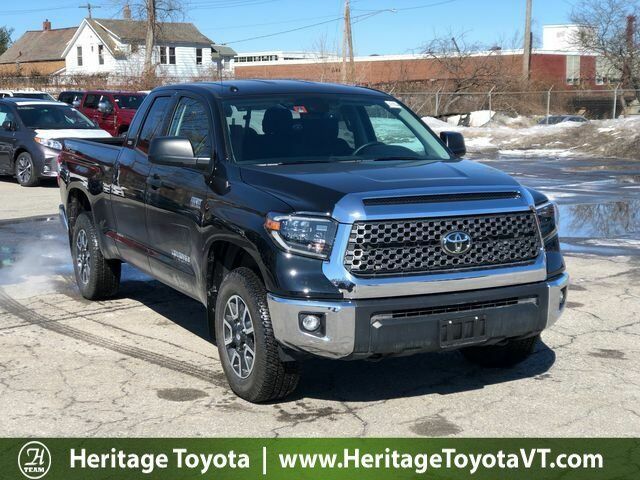 When you purchase with the H-Team, you are automatically enrolled in the H-Team Owners Club Vermont State Inspection Program, which entitles you to one free Vermont State Inspection every year for as long as you own your vehicle.